Winter might be in full swing here in Philly but I still dream of warmth, and what better way to express that desire for the sun by doing a fun toy series in a desert scene. 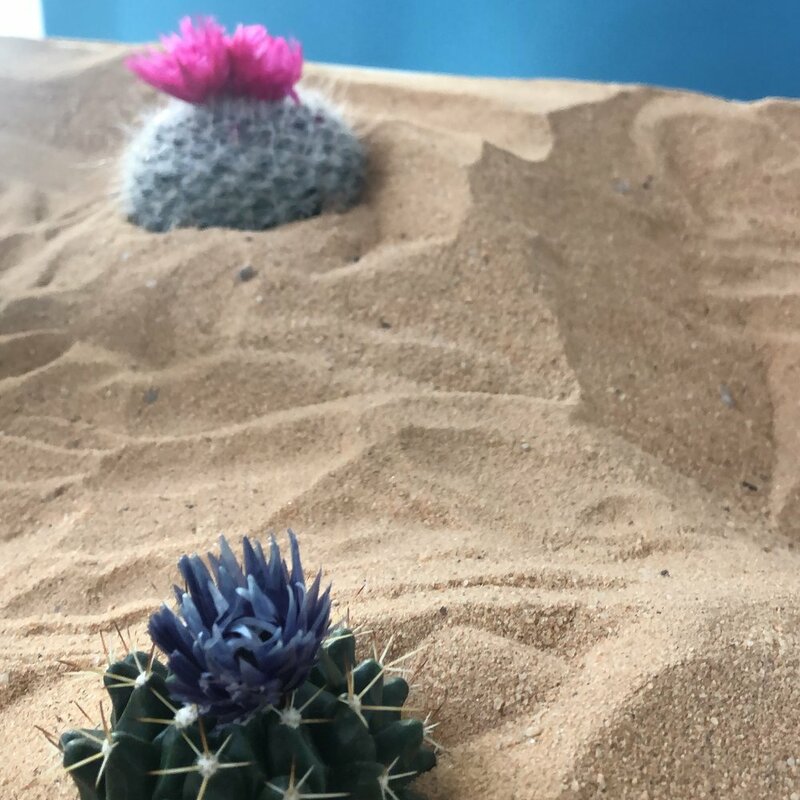 I wanted to add some color and some other items to the desert since having it be desolated would be ordinary but very dull, especially when it comes to the toy work. With that, I decided to go for adding some cacti to the scene. While searching for a few at Home Depot, I found the ones that have flowers growing on them. Even better they have bright, beautiful colors, SCORE! Then I wanted him to see an illusion brought on by the heat. After looking through some options at home, I manage to find this tremendous colorful horse. The idea is that he sees a horse that could help him get out of the desert and no longer be in danger. But with the colors making any one thing that is not real but still hoping that it was. For the lighting, I went for one key light with a snot being brought in from the back left to backlight the main characters in each scene, one overhead light to fill in the rest of the stage, and one light for the background. When creating the small series for the shoot, I tend to start with one image in my head that I draw out. This is always my starting point, and then I finish building the story in my head from there. Sometimes it starts with the start of the story, or the end, or even the middle. For this particular series, it began with the ending. 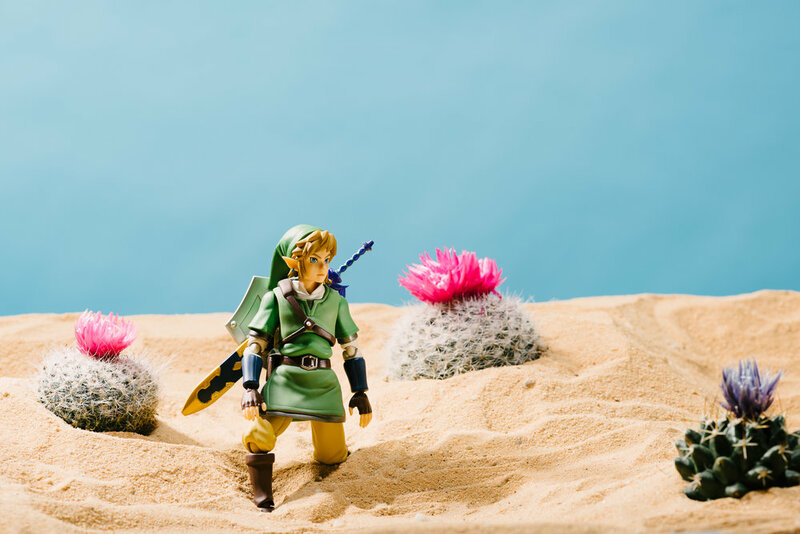 I wanted to capture Link laying in a desert using his hand to block out the sun from his face. I tried to capture the shadows on his face, so I knew I wanted to get some strong contrasty light. After that, I was going to have him walking or being lost in the desert and needed to have a blue sky. The blue seamless that I have in the studio that I use for portraits is always a beautiful color, and I knew it would lend itself to a lovely sky.